When it comes to our homes, everybody knows there are some obvious features to add value. A new kitchen, bathroom, open dining and the smell of freshly baked bread can make it much more attractive to potential buyers. Couple this with magnolia coloured walls and a nice plush carpet and it’s almost irresistible. But this can change when you take your potential investors outdoors. They won’t all be concerned about the rusty bench, dandelion filled lawn and shed that used to look like it was made out of wood. But, close to half of buyers would expect to take 20% off the price of a property based on a shabby exterior. Most buyers will make a decision about whether to pursue a property before they have even been inside. 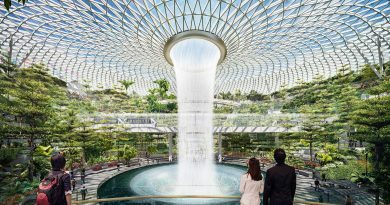 Up to 35% will base their decision entirely on the exterior. Aside from the added value, a well-designed garden is an extension to your living space. A comfortable area for entertaining, eating or just sitting to watch the birds go by adds a new dimension to your home. It’s not only strangers that you have to consider when thinking about impressing with your home. Everybody wants to be proud of their property and have a great place to entertain. On the rare occasion that the sun is shining, there is nothing better than hosting people outdoors. How to improve your outdoor space? 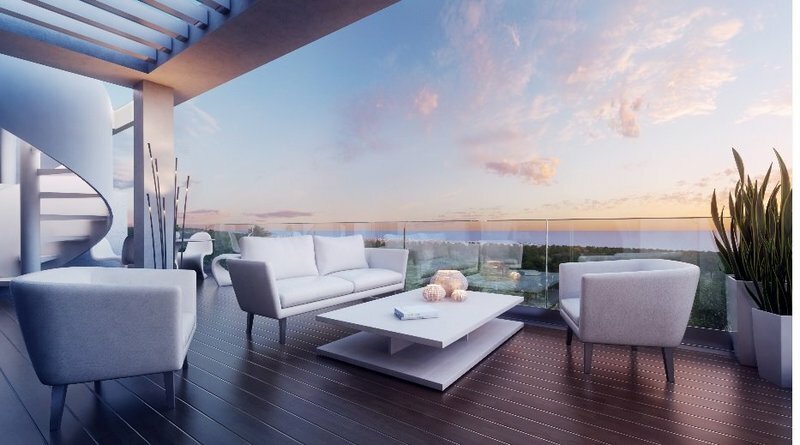 Depending on the size of your space there is a multitude of options for creating a perfect outdoor space. 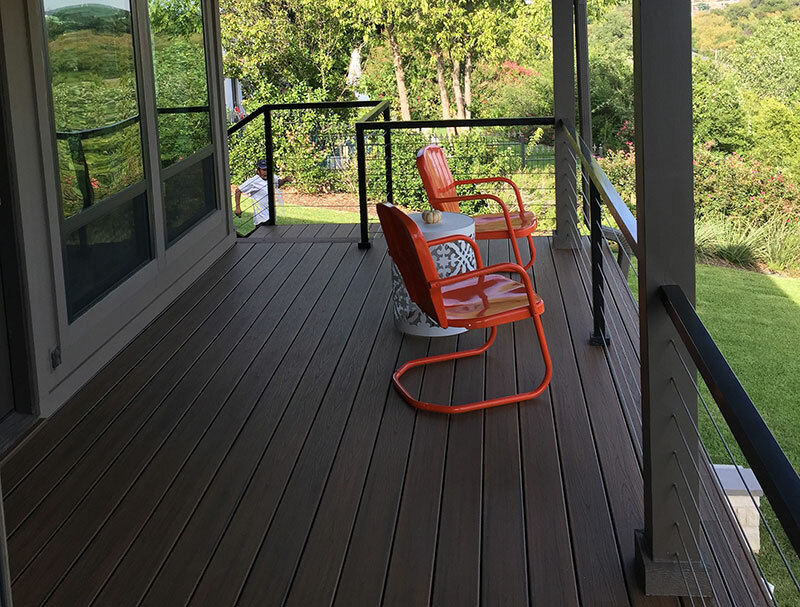 Taking into consideration all of the competing factors with regards to sturdiness, weather resistance, ease of installation and coordinating colours Composite Decking is the best option. 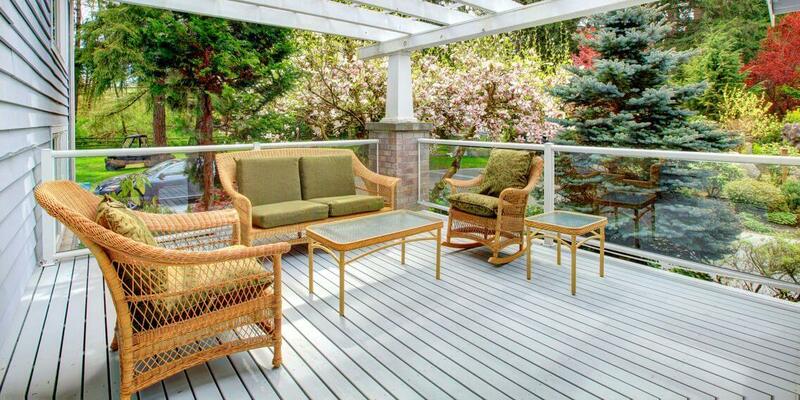 Composite Decking is a relatively new player in the field of outdoor improvements, being developed in the late 1990s. Since then, many improvements have been made with its production, weather resistance, available colours and simplicity to install. Being made almost entirely from recycled material, composite boards are environmentally friendly. Wood fibres make up most of the product and come from waste sawdust, wood products and wood pulp. This is then mixed with recycled plastic. The addition of colours and bonding additives give the boards their final formulation. With a comparison between composite boards and timber boards, there is an initial cost difference. 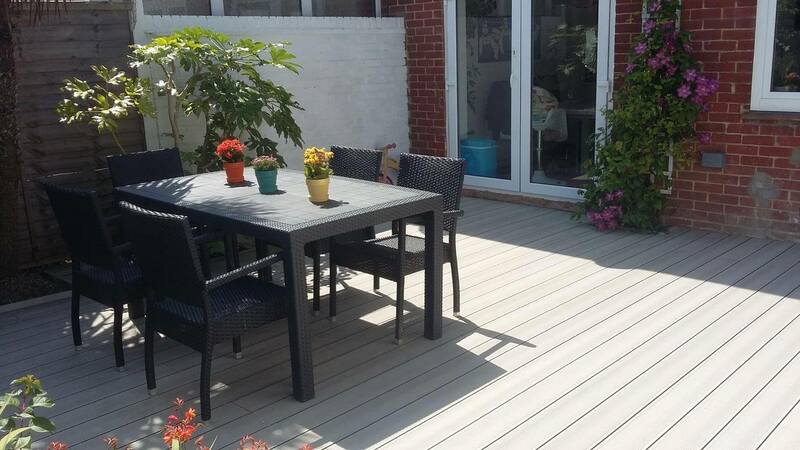 Composite decking has a higher initial cost. The annual maintenance cost of timber needs to be considered. This is expensive in terms of both time and money. Repairing lumber planks, sanding the boards, staining to maintain the colour and waxing to keep the timber waterproof becomes expensive over the lifetime of a timber deck. The added costs make timber considerably more expensive over the long term. Composite boards have no special maintenance requirements. Even so, there won’t be any splintering, warping or fading of the colour regardless of the weather they are exposed to. You can be confident that the condition of the composite boards will be unchanged over their working lifetime of 20-30 years. How long will a composite deck last? 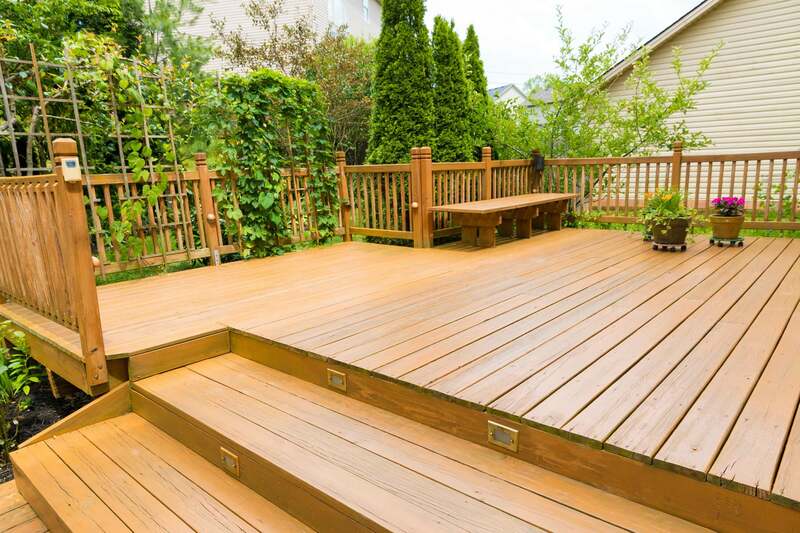 Of course, you may not necessarily be constructing a deck just with the intention of selling your house. You may want to enjoy the space for a number of years and then decide to sell. What you don’t want is to discover that a few years in the future you have to completely renovate your deck in order to make it look attractive. Realistically, however, you maintain timber decking it will always succumb to the effects of the weather and time. This is not a problem with composite decking boards. Their hardwearing construction gives the ability to withstand the test of time and look as good as new for the foreseeable future. The durability of composite boards is so good that companies will generally offer a 15-year warranty, which shows the confidence you can have in them. Are composite boards going to be damaged by the weather? Due to the inclusion of plastic in their construction, they are very resistant to moisture and UV rays, meaning they won’t swell, warp or splinter. They also have a unique ability to maintain their original colour. A primary reason for colour fading in timber decks is their inability to properly repel water. Moisture will cause timber to develop dark water patches which can be difficult to cover with wood-stain, even after sanding. Where the colour hasn’t faded, the surface will slowly become very uneven in appearance. Composite boards don’t suffer from this problem. The high plastic content means they have a strong barrier to moisture, as well as UV light which also causes colours to fade. Composite boards come with the assurance that the colour you choose at the time of installation will be the same colour you enjoy 15 years down the line. Not only will the colour last for the lifetime of your deck, but you also have a vast palette to choose from. Having the flexibility to match your new decking with your windows and doors is a definite bonus. Or you may decide to choose something a little more unique. You can really let your creative side go wild and make a statement that your neighbours and guests will be talking about with great envy! How do composite boards handle being wet? 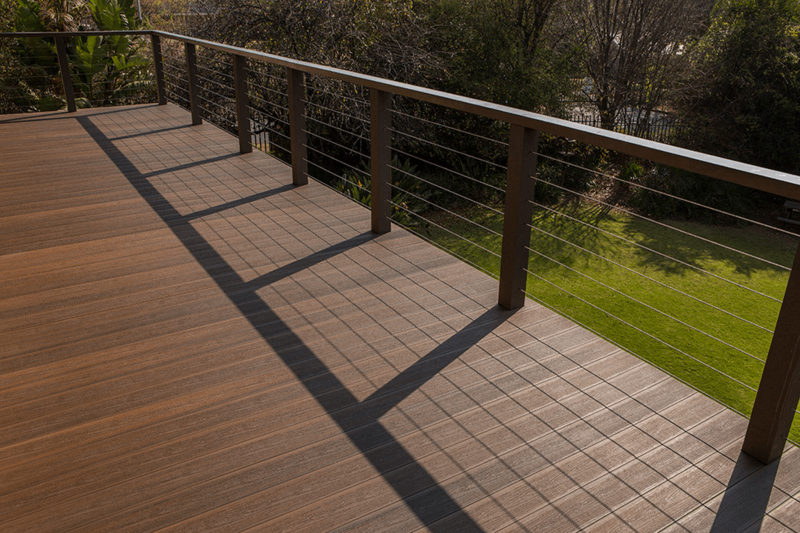 A familiar feature of timber decks and wood is when wet they can become very slippery. Timber needs to be sanded and varnished regularly for proper maintenance. This removes any grip. Even with the textured grooves that are cut into the surface side of the timber, these only serve to reduce the available surface area for your feet. Composite boards are formulated and manufactured to be anti-slip, even when wet. It may be unlikely that you will be enjoying cocktails in the garden in a torrential storm but it can take at least a few days for timber to properly dry out. During this time the risk of slipping on a timber deck is quite high. Even in the rain, you can confidently walk, accident-free, across your composite board deck.